I’m giving awards to my favorite pregnancy products. My first award goes to Howling Wolf Herbs Energy Herbal Tea for Pregnancy (red raspberry leaf tea). Since June of 2010, I have attended approximately 45 or so births (I’ve kinda lost count, so I’m not exactly sure anymore). Around 30 of those being at the birth center where I work as an assistant to the Nurse Midwives. As a Birth Assistant, directly after the birth of the baby, I massage mom’s uterus (a woman’s uterus should feel like a ruby-red grapefruit after giving birth) and I observe of the amount of postpartum bleeding she has (I know glamorous, right?). 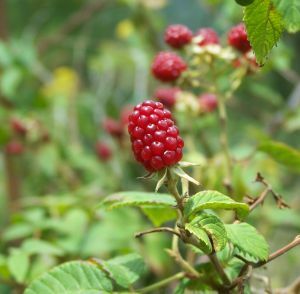 I have noticed a pattern, without fail, the moms that drink plenty of red raspberry leaf tea throughout their third trimester have a very small amount of blood loss in comparison to those who don’t drink it. I mean, scant. Barely there. Did you really just have a baby 30 minutes ago? Aren’t you supposed to be bleeding? The reason I like Howling Wolf’s Tea is that it tastes GOOD, I mean so good. Plus, the quality of the tea is excellent and the price fair. Currently, I’m drinking about 25 ounces a day. I make a large batch about once a week and drink it cold – it’s so refreshing! If you are pregnant, and near your third trimester, I encourage you to start drinking Howling Wolf’s Energy Herbal Tea! Is this tea sold in stores? So Joy, are there benefits of RRL tea for women who are not pregnant nor planning to become pregnant? I wonder what it does for women during their periods? Do you know? Good question, from what I understand RRL is also known to hep regulate menstruation as well as relieving some of the discomforts of cramps. I’ve also read that it can help relieve symptoms of PMS and it can be used post menopause to increase uterine tone. Great! I think I’ll experiment with it this month and see what happens! Thanks for looking that up! Cool. Let me know how it works for you. I was going to ask the exact same question. I just got my period back after 19 months (go breastfeeding!!) and it is terrrrrriiiiiible. Bad cramping, way more heavy than I remember, and just all around stupid :) Think I’m gonna head to Inanna and get some tea. Thanks for such a timely article, Joy! !